ISLAMABAD: Prime Minister Imran Khan reiterated on Tuesday said that the government is committed to providing an enabling environment to all the investors so that they can take advantage of the existing opportunities in various sectors, including exploration and production. The PM was talking to Luca Vignati, Executive Vice President for Central Asia Region of ENI, an Italian multinational oil and gas company. 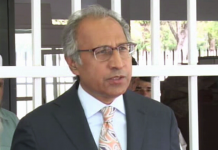 The prime minister said that the government remains focused on improving the ‘ease of doing business’ in Pakistan and on facilitating the business community in every possible manner. Welcoming ENI’s interest in expanding its business in Pakistan, the prime minister said there existed a huge potential for the exploration and production companies to take advantage of the growing energy needs of Pakistan’s economy, adding that there are huge hydrocarbon reserves in the country which have remained unexplored so far. 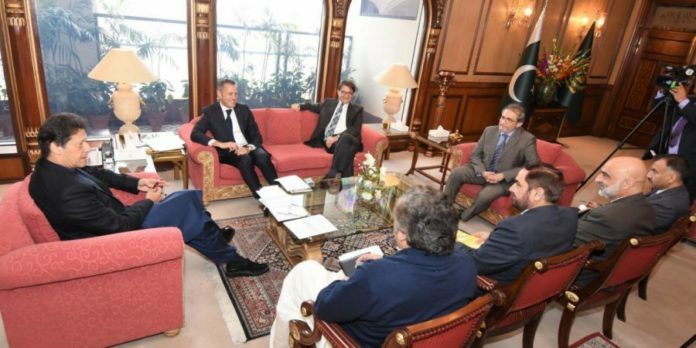 Earlier, Luca Vignati briefed the prime minister about ENI’s activities in the exploration and production sector of Pakistan since 2000. He also apprised the prime minister that ENI Pakistan had invested in a range of projects for the development of local communities. The company has been mainly contributing to health, education, environment and socioeconomic development, he added. Vignati said that ENI is keen to further expand its business, especially in the LNG and offshore exploration and production sectors, with the use of latest technology.